J. Louise Westphalen, 82, Moses Lake resident passed away Monday, January 4, 2016 at Deaconess Medical Center in Spokane, WA. She was born April 7, 1933 in Okanogan, Washington to William and Virginia Sheely. 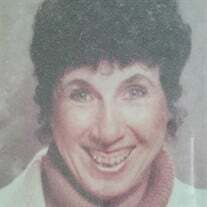 The family of J. Louise Westphalen created this Life Tributes page to make it easy to share your memories.